Jews in Ben Gurion Airport were dismayed to discover Turkish Muslims praying in the airport's shul. 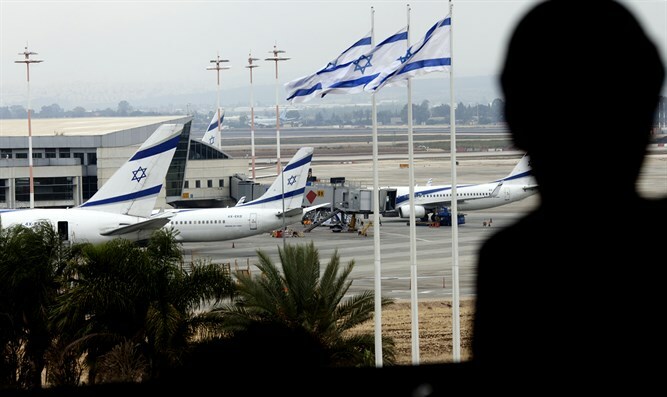 Jews in Ben Gurion Airport were dismayed to discover Turkish Muslims praying in the airport's shul, on the eve of the holiday of Simchat Torah. The Muslims were using Jewish prayer shawls (tallits) as prayer rugs. It is not clear if someone gave the Muslims permission to use the synagogue.